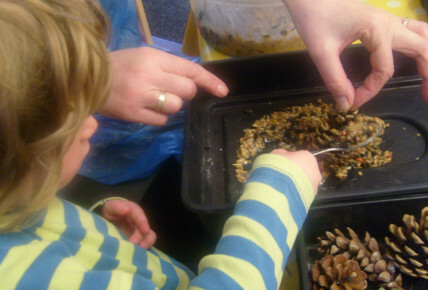 Busy Bees at Southwell - Making bird feeder! 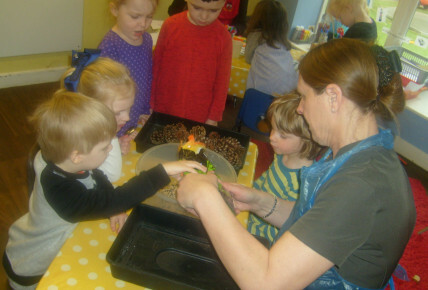 Today, the children in Pre-School have created bird feeders with Alison using lard and bird seeds. 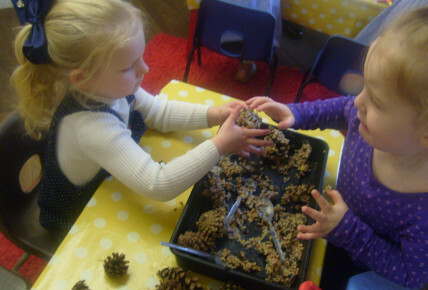 Alison warmed the lard and the children mixed in the seeds to be able to spoon the mixture into pine cones. 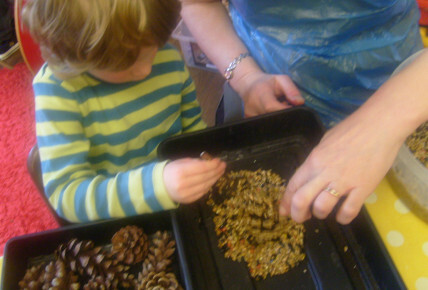 We are hoping once they are dry that we can hang the pinecones from the tree in our children's gardening area. We are hoping now that it is Spring, that we can encourage more wildlife to our amazing garden space.